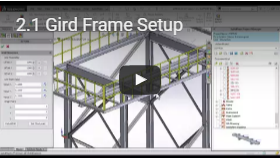 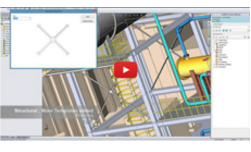 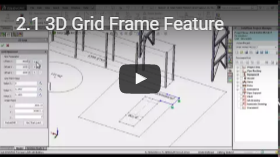 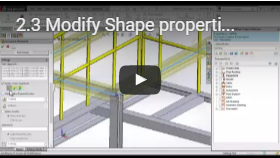 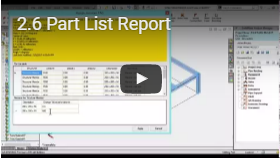 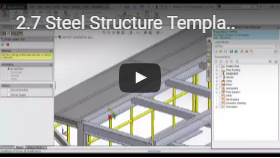 SolidPlant 3D offers one of the quickest and most easy to use features for steel structures. 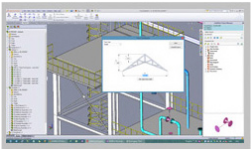 Structural members are based on international standards. 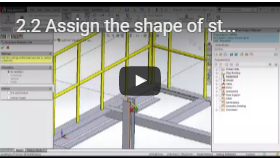 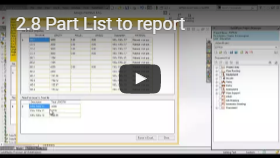 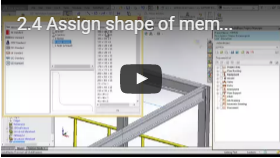 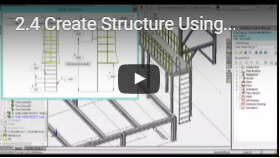 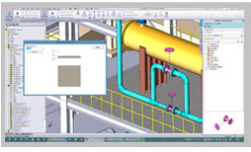 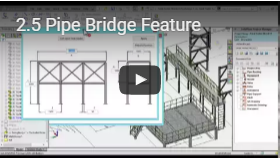 Complex models for stairs, platforms, pipe racks, etc., can all be generated within minutes by using one of the many templates. 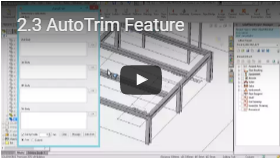 Insert Texture to the floor plate. 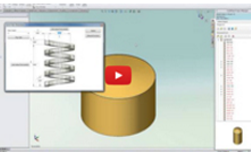 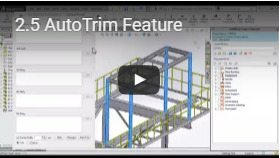 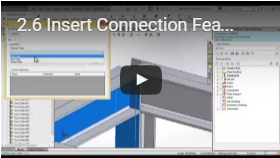 Auto-Trim Structure : Use the Auto-Trim function to rapidly trim multiple structural members at one time. 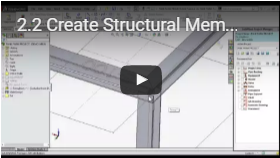 to add more structure members.